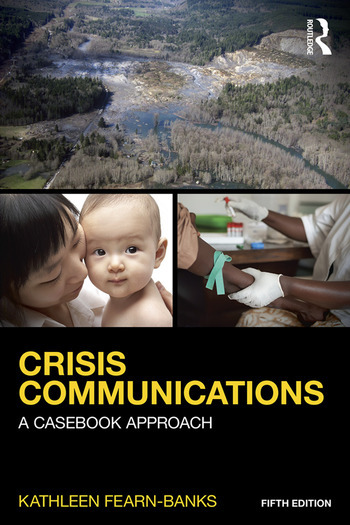 Crisis Communications: A Casebook Approach presents case studies of organizational, corporate, and individual crises, and analyzes the communication responses to these situations. Demonstrating how professionals prepare for and respond to crises, as well as how they develop communications plans, this essential text explores crucial issues concerning communication with the news media, employees, and consumers in times of crisis. Author Kathleen Fearn-Banks addresses how to choose the best possible words to convey a message, the best method for delivering the message, and the precise and most appropriate audience, in addition to illustrating how to avoid potential mismanagement. The fifth edition of Crisis Communications includes updated cases that provide wider coverage of international crises and media technologies. It includes a new section on social media in crisis communication scenarios and includes additional comments from social media experts throughout various chapters. New case studies include "Police Departments and Community Trust," "The Oso Mudslide in Washington," "School Shootings: Communications To and For Children," and two additional international case studies - "Ebola Strikes Liberia: Firestone Strikes Ebola" and "Nut Rage and Korean Airlines." Previous case studies no longer in this edition can be found on the book’s companion website, which also includes the Instructor’s Manual with exercises in crisis responses, guidelines for crisis manual preparation, and other teaching tools: www.routledge.com/cw/fearn-banks. Looking at both classic and modern cases in real-world situations, Crisis Communications provides students with real-world perspectives and insights for professional responses to crises. It is intended for use in crisis communications, crisis management, and PR case studies courses. Also available for use with this text is the Student Workbook to Accompany Crisis Communications, providing additional discussion questions, activities, key terms, case exercises, and further content for each chapter. Kathleen Fearn-Banks is Professor of Communication in the Department of Communication at the University of Washington.